Lohit district in Arunachal Pradesh has a good number of schools and healthcare centres located all over its territory. Many of them cover remote villages and are the first port of call for villagers who are otherwise bereft of these basic facilities. 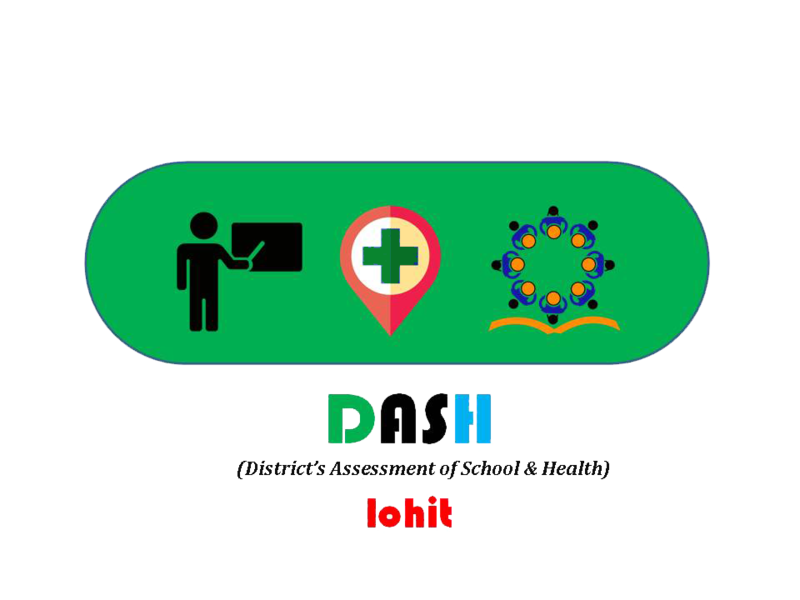 DASH Lohit is Lohit Districts assessment of Schools and Healthcare system on Mobile platform for day to day monitoring and information management. The system utilizes the cellular network to link these remote schools and healthcare centres in Lohit District. It comprises of Individual Apps for Schools and Healthcare centres . A central Web server integrates the real-time data received from the field. Day to day attendance of the entire staff incorporating GPS Coordinates of their work place. Day-to-day attendance of children at School / Midday meals/ Examinations. Customised reporting from interior locations by individuals of their respective routine activities/ tasks. Instant	reporting of any disasters or events with additional notes and photographs. Option for admin and other head of departments located at head quarters to broadcast notifications to a specific institution, group of institutions or all the institutions. Individuals can apply for leaves online and send a scanned copy of the application. The above data is primarily sent using easily available mobile data service. In absence of data service, the basic functionalities can be still sent to the central Web server through SMS. This ensures that the central data is updated with basic details on daily basis. The Web admin panel collates all the above information on real-time basis and then generate reports for routine administration which can be accessed through MIS and utilized for resource planning at district and block levels. This mobile based app is an initiative of the Deputy Commissioner Lohit to converge the administrative functioning of crucial departments like health and education. The overall aim promote efficiency in district administration through transparent flow of information.